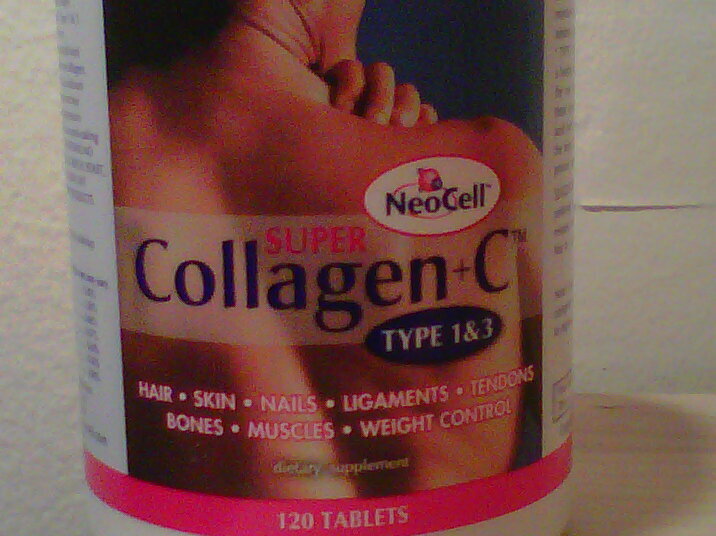 I’ve been taking Collagen supplements for years… However; I have fallen in love with NeoCell Super Collagen+C tablets. An amazing product and that has type 1 & 3 collagen. Scientiﬁc studies show that more than 90% of the collagen found in the body is Collagen Type 1 & 3. The protein composition consists of nineteen amino acids responsible for the growth and maintenance of the body. Collagen is a protein made up of amino acids, which are built of carbon, oxygen, and hydrogen. Collagen contains specific amino acids- Glycine, Proline, Hydroxyproline, and Arginine, which are all found in the skin and muscle. *Provides speciﬁc amino acids necessary to replenishing the body’s collagen supply. *Helps minimize ﬁne lines & wrinkles, and improves elasticity in the skin. *Builds and supports bone matrix. *Corrects weak, broken, split and damaged nail beds. *Thickens ﬁne hair, adds body and slows down hair loss. *Repairs connective tissues for improved elasticity; improves circulation; promotes wound healing. 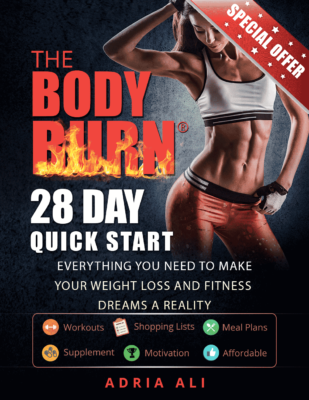 *Glycine builds lean muscle to help burn fat while you sleep. Collagen makes up approximately 30% of the proteins within the body. These are tough and strong structures found all over the body: in bones, tendons and ligaments. As we age, the collagen production slows and the cells structures weaken. The skin gets thinner and is easier to damage, hair gets lifeless, skin sags and wrinkles, tendons and ligaments become less elastic, joints get stiff etc. Although abundant in our youth, the body’s natural Collagen production typically slows at a rate of 1.5% per year after the age of 25. As this collagen production slows, the collagen ﬁbers in the body become brittle and begin to break down resulting in many of the tell- tale signs of aging, such as loose, ﬂaccid skin, wrinkles, ligament and tendon injuries and osteoarthritis. Super Collagen+C™ utilizes Collagen Types 1&3, which is 90% of the body’s total collagen supply and the main collagen constituents in the skin, hair, nails, ligaments, tendons, bones and muscles. Fitness Tips: Knowledge is power. Do something to be a better you and improve your skin, hair, nails, ligaments, tendons, bones, muscles in addition to weight control. You work so hard in the gym or at your favorite workout class. You sweat and push your body to the limit. Take a moment to nourish and care for it and prevent damage. 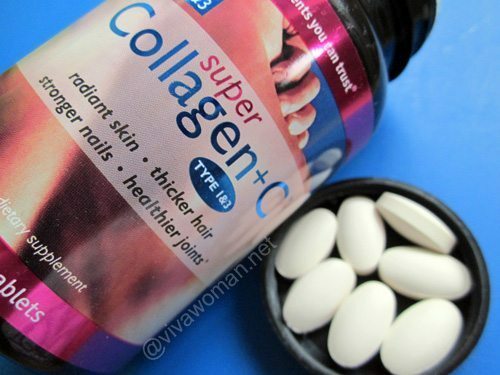 LUCKY FIT TIPPERS: Now’s your chance… enter our give-away and win a bottle of NeoCell Super Collagen+C tablets for yourself. Enter to win using 5 fun ways. You can enter more then once a day and you can enter each and EVERY day until the closing of the giveaway! 5 lucky people will win a bottle of NeoCell Super Collagen+C tablets. This will be sent to you directly from our friends at NeoCell. Shout out to NeoCell, my girl Jean… Thank you! Ready. Set. Get Fit!!! Take your Collagen! I've heard about Collagen C,would love it if my hair would grow!! I would love to try this to get my fingernails to grow stronger. I would love to try this for radiant skin! !